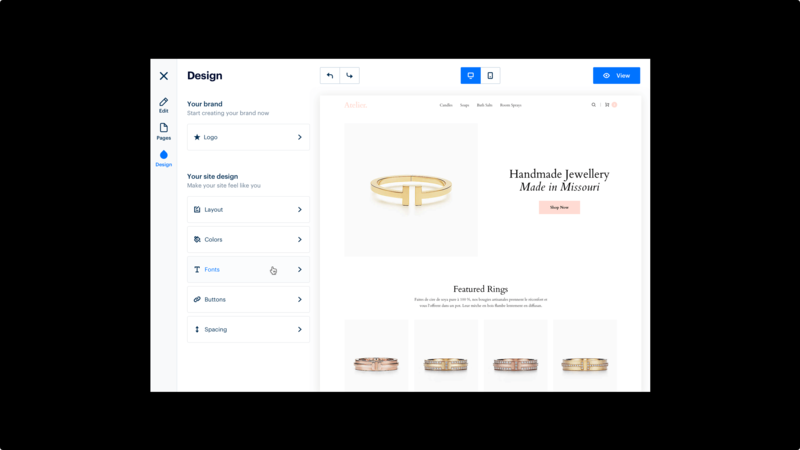 Weebly Editor — While working at Weebly, I was part of the team tasked with the challenge of re-inventing and innovation on our core product: the award-winning Weebly Website editor. Note: This project is unreleased and under NDA, please reach out if you require more information. I have all of the process work, including wireframes, user interviews, etc. The main goals of this multi-year ongoing project were to help users make websites faster, allow for easier user branding of sites, and to improve the underlying techonologies of the builder while maintaining the Weebly signature ease of use.